This week’s Piece of the Week is our first completely abstract artwork. 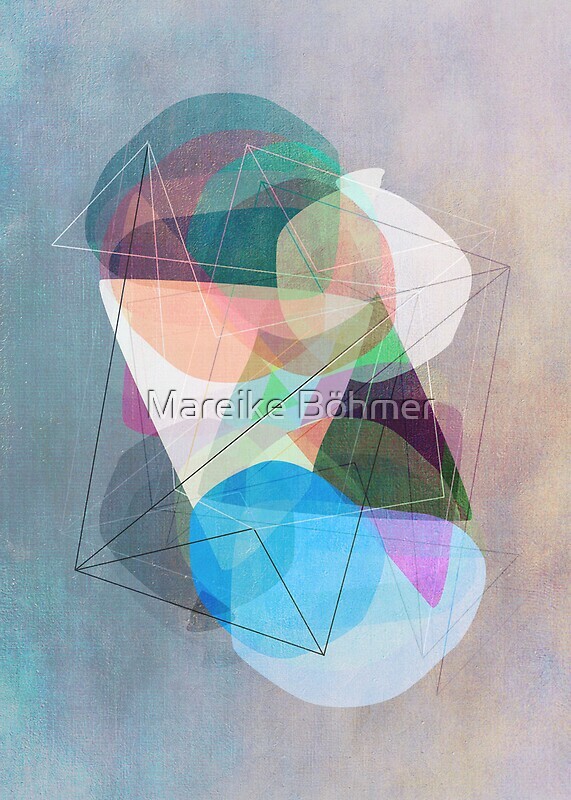 Many abstract minimalist works such as “Graphic 117 X” by Mareike Böhmer are emphasized by utilitarian titles, as if to invite you to make this artwork whatever you need it to be. It could be a garden, blueprints, or figures dancing. It could be beautiful shapes and forms oscillating together. Whatever it is to you is what the artwork should be. That is a gift to the viewer and creates an artwork without pressures to be “understood” or intellectualized. There is something so peaceful about this piece, the fluid shapes work their subtle magic and sneak up on you as the mauve tones move around the frame. Created by user-interface designer Mareike Böhmer this POW is a testament to the beauty in prioritizing simplicity in design. Perhaps beautiful design is an exercise in how it expresses itself, and I think Böhmer has created a work that relishes in its form and speaks for itself.